But then, at the beginning of May, I took a road trip to Prince Albert with photographer Jan Ras to photograph Jonno Sherwin and Johan Hugo’s charming cottage. As we drove through De Doorns I noticed all the vines had turned a light shade of aubergine; at Matjiesfontein there was a distinct nip in the air; and the next morning before sunrise I was longing for my warm velvet coat that was, sadly, back in Cape Town. Winter has finally arrived here in the Western Cape, and with it our focus has shifted indoors. 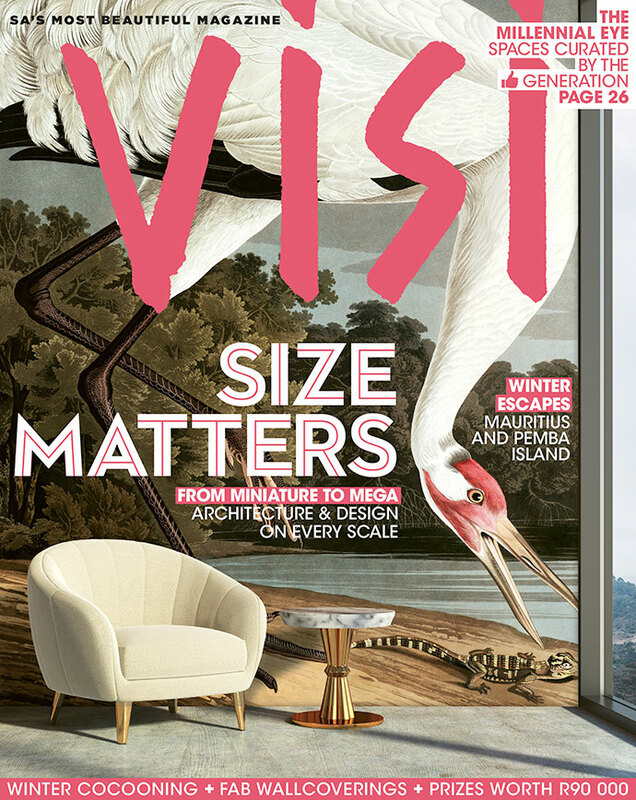 This issue is all about playing with scale. Here at VISI HQ we fell in love with the oversized images on Cara Saven’s wallpapers. She admits to being “a little obsessed with oversized things”. These statement wallcoverings, made right here in South Africa, are the easiest and quickest way (aside from paint, that is) to give any interior a totally fresh look. Deputy editor Annemarie Meintjes recently attended Salone del Mobile 2018 in Milan, and she says oversizing was one of the standout trends at the exhibition. The Moooi stand was her favourite, and she says if there was one item she could have brought back with her from Italy it would have been the dartboard Marcel Wanders designed for Moooi. Hopefully, our local exclusive Moooi stockist, Weylandts, will have it in stock soon, as well as my personal favourite, a rug with gigantic delicious monster leaves all over it. So, instead of letting winter get you down, start playing with oversized botanicals on dark backgrounds, paired with luxurious pieces upholstered in velvet. It’s this playful approach to decorating that we admire in millennials, and it is rapidly changing the way young creatives are curating their spaces based on looks and likes, which are then shared with the world via social media. Have a look at our take on this trend on page 26. Check out all the winners of the Corobrik SAIA Awards for Architecture on our website, and before you know it winter will be a thing of the past. P.S. How cool is this clip, shot by Jan Ras, showcasing how Cape Town-based multidisciplinary studio, Studio H, 3D prints with food. Read more about it on page 172. Call 087 405 2005 with your credit card or banking details for debit order arrangements. SMS the words “Subs VISI” to 40573. An SMS costs R1. Fax to 0866 704 101. 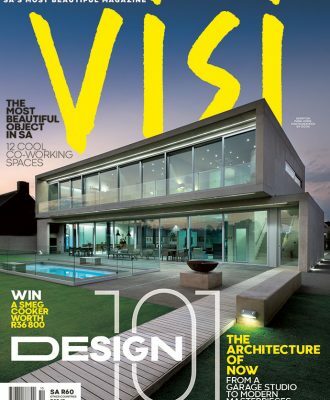 Post to VISI Subs, Freepost CB0209, PO Box 596, Howard Place, 7450. 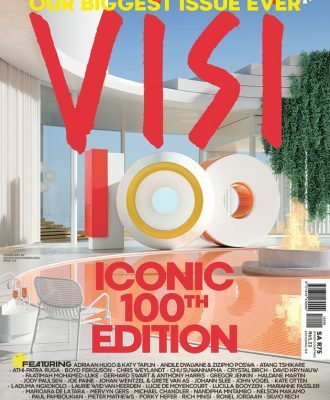 If you prefer to read your favourite magazine in digital form, on your iPad, tablet or desktop computer, you can subscribe to VISI on My Subs. 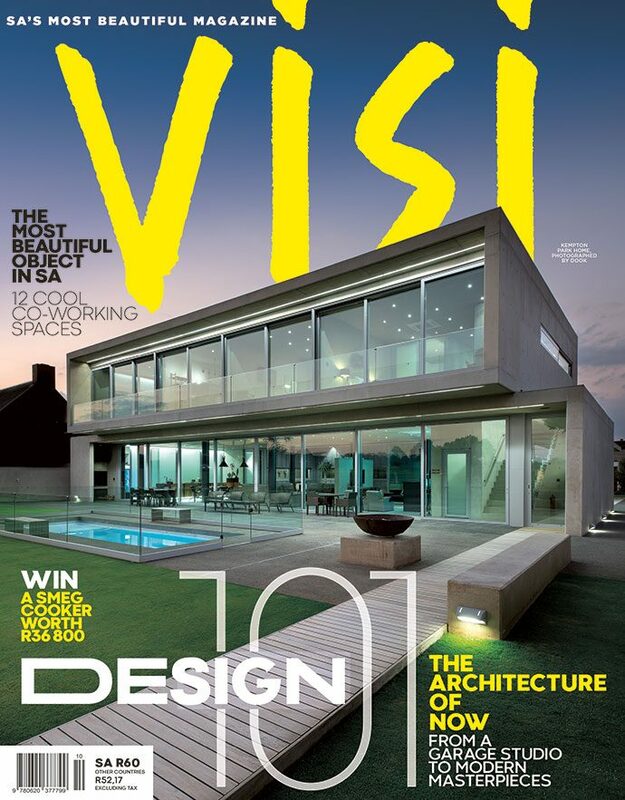 Go to mysubs.co.za/VISI to subscribe or call 0861 697 827.